Currently there are several US national gyms that are offering Military Discounts. If active military members are looking for a gym the cheapest option is to use the facilities on base since they are free. Other free options include YMCA and IHRSA. 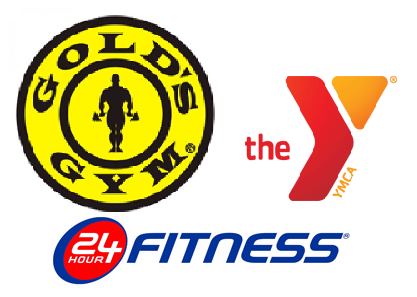 Gold's Gym and 24-Hour Fitness offer discounted rates if you are looking for something off base. This is great because you have no long term commitment and you can just pay month to month. Must have valid U.S. Military ID. The location nearest me had the military discount at $19 for monthly dues and $49 for the enrollment fee. You can click the link above to find out the rates at the location nearest you. If eligible - free membership. Free membership provided for the DoD. Free membership for family members of actively deployed Reservist and National Guard. This program was created to help families that don't live on base and don't have easy access to a fitness facility. Membership usually lasts 6 months. Individuals and families who live near a military installation should have access to gyms on base. This would be free and probably the easiest. Like what you are reading? Want more Military Discounts?? ?